The objective of the Nü framework is to give composers control over the speakers of spectators smartphones during a performance. Connecting their devices to a webpage broadcasted by the performer’s laptop, spectators become part of the composition: from simple sound sources to active musicians. 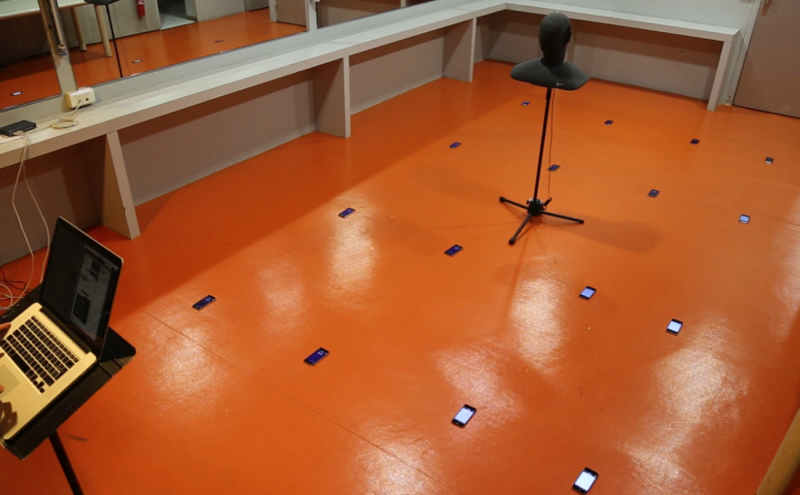 The performer can then control the behaviours of Nü modules via a Max/MSP based interface: modular units (distributed room reverb, granular synthesis, etc.) designed for live composition.